NorthStar VETS - How Are We Doing? Your feedback is very important to us. Of course we like to know if we're doing a good job, but we also want to know where there's room for improvement - because we're committed to giving you consistently excellent service as well as outstanding medical care for your pet. Won't you please take a moment to complete this short survey and let us know how you think we're doing? If you'd like us to reply to your feedback, please include your contact information in the comments section. THANK YOU for your time and candor. 1. Did you come to NorthStar VETS through the emergency department or for a scheduled appointment with a specialist? 2. Was our facility clean & orderly? 3. Was the staff (receptionists, technicians, and doctors) friendly and helpful? 4. Did you feel comfortable with your doctor and that all your questions were answered to your satisfaction? 5. Do you feel your pet was given the best-possible care? Did we relate to him or her well? 6. Do you feel our fees were appropriate for the services you received? 7. 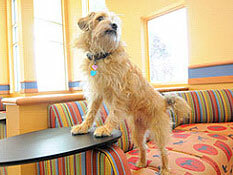 How would you rate your overall experience at NorthStar VETS? 8. 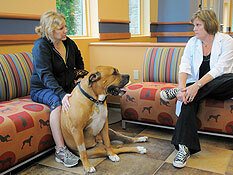 Would you ask your family veterinarian to refer you again for any of the other specialty services we offer? 9. Would you recommend our hospital to a friend, neighbor or family member? 11. May we use your feedback in marketing of NorthStar VETS?